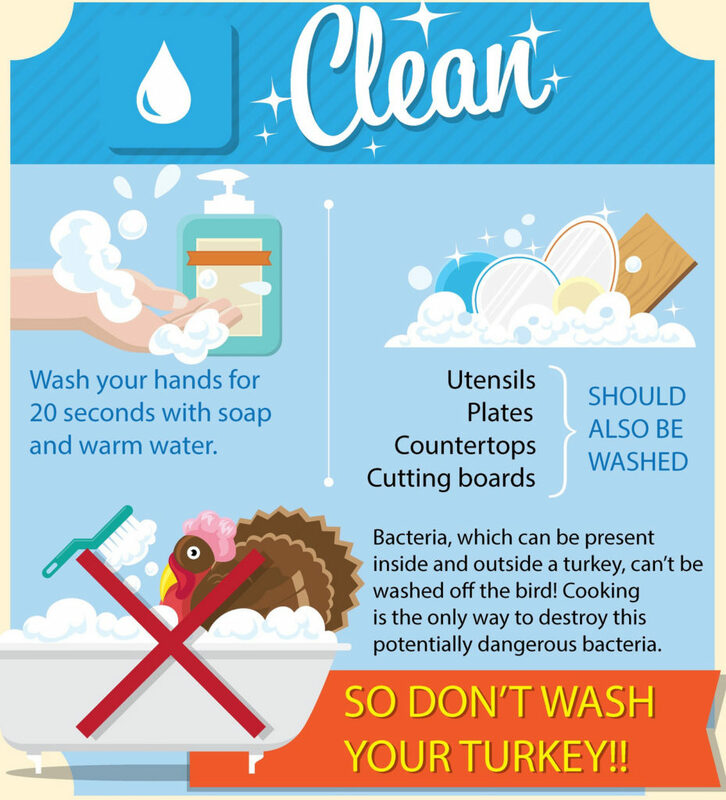 Many people think that washing their turkey will remove bacteria and make it safer. However, it’s virtually impossible to wash bacteria off the bird and juices that splash during washing can transfer bacteria onto the surfaces of your kitchen, other foods and utensils. This is called cross-contamination, which can make you and your guests very sick. Do not wash your turkey in preparation for cooking. It only spreads bacteria onto countertops and other surfaces and your hands. Only cooking the turkey thoroughly to 165°F kills any bacteria that might be present. 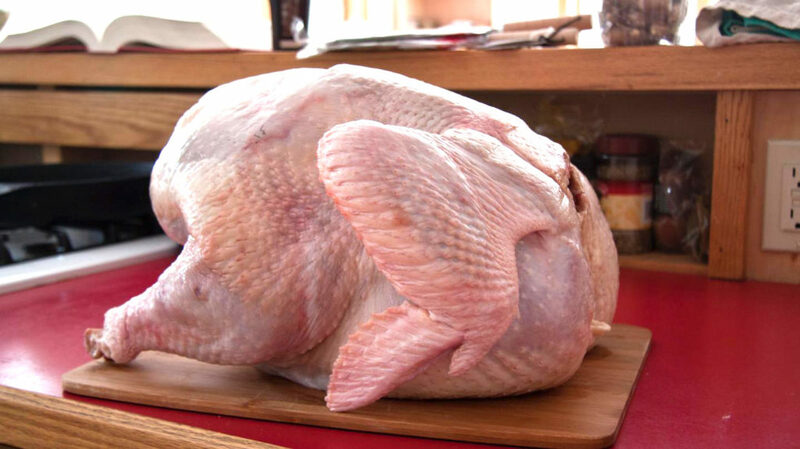 According to a food-safety survey conducted by the FDA, 68% of people wash a whole turkey before cooking it. The USDA does not recommend washing raw meat and poultry before cooking because it can spread bacteria up to 3 feet around the sink. 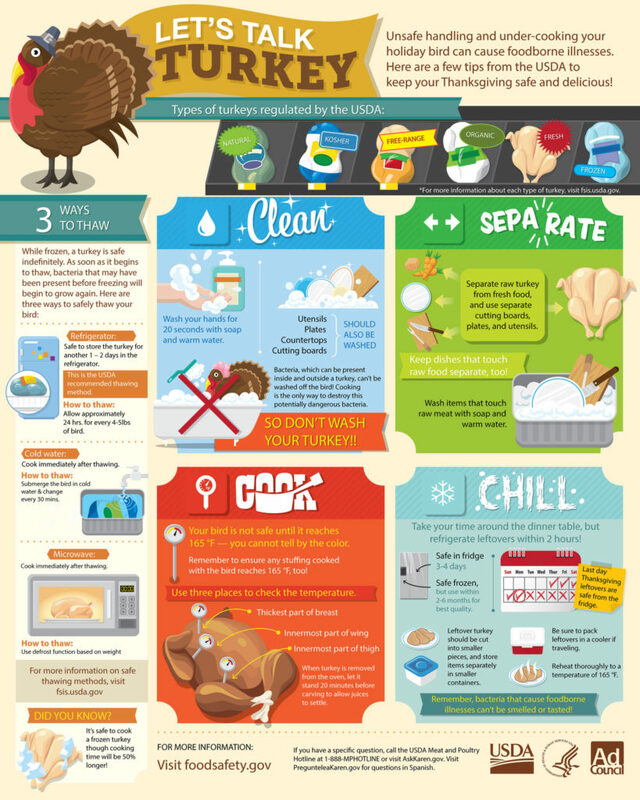 This animation from New Mexico State University demonstrates the danger of spreading the bacteria when washing a turkey. 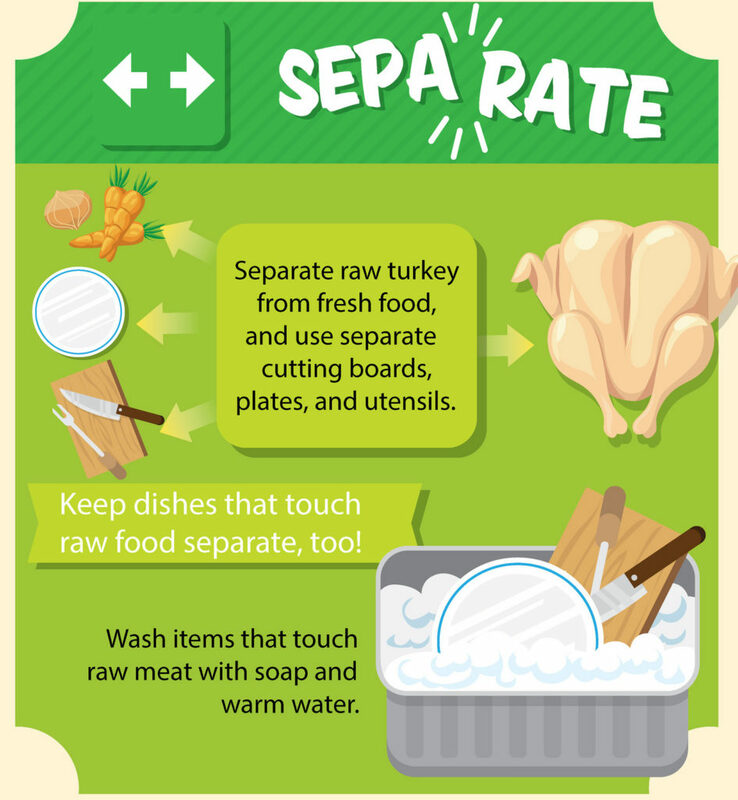 Washing your hands before and after handling your turkey and its packaging is crucial to avoid spreading harmful bacteria. Be sure to wash your hands with warm water and soap for 20 seconds. 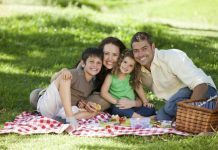 This simple, but important step can help keep you and your guests safe from foodborne illness. If your raw turkey or its juices come in contact with kitchen surfaces, wash the counter tops and sinks with hot, soapy water. For extra protection, surfaces may be sanitized with a solution of 1 tablespoon of liquid chlorine bleach per gallon of water. Be sure to let those areas dry thoroughly. 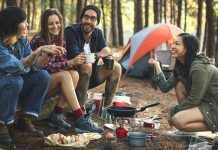 The USDA does not recommend washing raw meat and poultry before cooking. Washing raw meat and poultry can cause bacteria to spread up to three feet away. Cooking (baking, broiling, boiling, frying or grilling) meat and poultry to the right temperature is the only method to kill bacteria. There are three safe ways to thaw food: in the refrigerator, in cold water, and in a microwave oven. Follow the microwave oven manufacturer’s instruction when defrosting a turkey. Plan to cook it immediately after thawing because some areas of the food may become warm and begin to cook during microwaving. Holding partially cooked food is not recommended because any bacteria present wouldn’t have been destroyed. 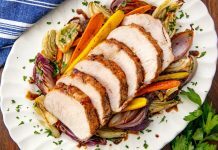 The only way to destroy bacteria on your turkey is to cook it to a safe minimum internal temperature of 165°F as measured with a food thermometer. Some chefs prefer to cook to a higher temperature for flavor and texture. 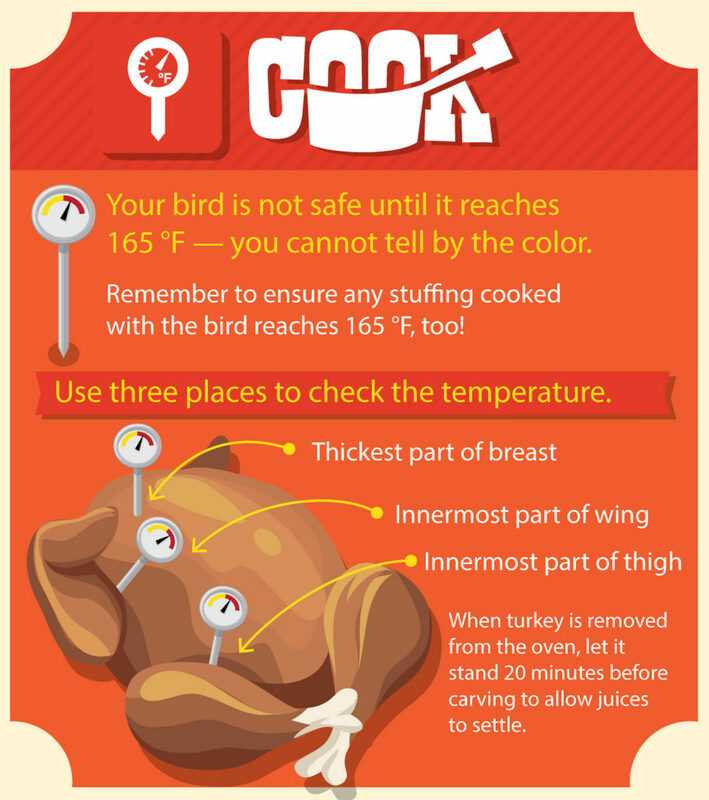 Remember to check the turkey’s temperature in the innermost part of the thigh and wing, and the thickest part of the breast to be sure it is free of illness-causing bacteria. Portion the turkey and refrigerate it as soon as you can, within two hours of the turkey coming out of the oven. Leftovers will only last for four days in the refrigerator, so if you know you won’t use them right away, pack them into freezer bags or airtight containers and freeze. 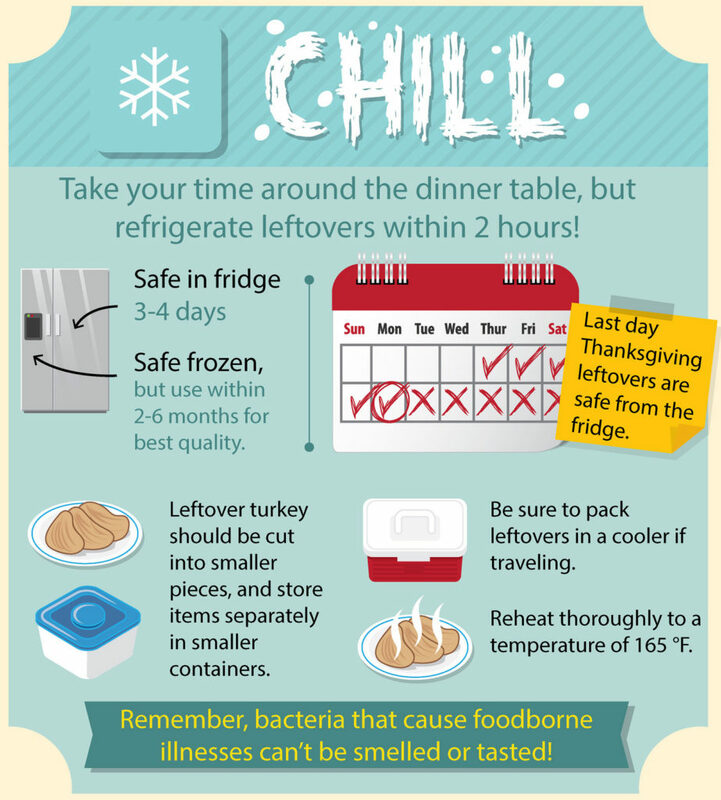 For best quality, use your leftover turkey from the freezer within four months. After that, the leftovers will still be safe, but can dry out or lose flavor. Have a Food Safe Happy Thanksgiving!